Our company is ranked among trusted Aluminium Alloy Ingots’ Suppliers in India. Capitalizing on a rich industry experience, we present a comprehensive range of Aluminium Alloy Ingots reckoned for their structural stability, excellent finish and durability. We offer them in varied specifications and cater to bulk requirements with ease. 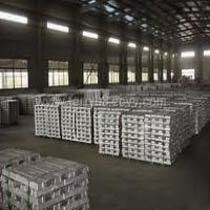 Buyers can purchase Aluminium Alloy Ingots from us at competitive prices.